Looking on the bright side, Roy continued his hitterish ways last night going 2-3 with a double (!). His first base knock started that futile revolt against King Stupidpitch, and it kind of felt all along like squandering that opportunity was going to come back to haunt us. But, again, it happens. "But ZWR, what was the line?!?!?!??!?!?!?!" Our boy was good. 9 IP, 8 H, 1 BB, 3 ER, 14 K (9 Cuttered, 5 So Cuttered). Just, well, we lost. 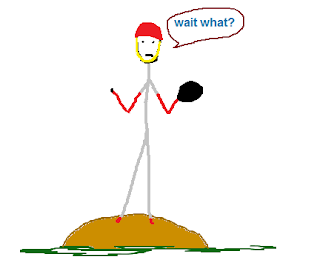 "But ZWR he threw a billionty pitches and our bullpen is awesome omg why did they put him out for the ninth now what if his arm falls off and he doesn't have an arm and he tries to pitch against the Diamondbags in the playoffs but he can't because his right (throwing) arm is missing (because it fell off)?!?!?!?!" Stop that. "Now the world don't move to the beat of just one drum, what might be right for geeks, might not be right for dumbs." I don't want anyone taking offense to that, either, because I'm probably somewhere closer to dumb... but spent a lot of time fancying myself a geek. None of it really matters, though. Have fun and be nice to each other, yo. For what it's worth, I had Ryan Howard 13th on my list, but that's in part because Roy Halladay is numbers 1, 2, 3, and 5 and Jorrick Calvin cracked the top ten this year. pompomflipflop has joined the ZWR team as staff photographer. Seriously, I'm a huge fan of hers. (Warning: Her husband is an uber-stat dork). That above link for our new hire goes to some pretty remarkable photos from last night's unveiling. We love you, Harry. Always will, and will take any chance we get to say it again. Looks like your new hire went to Haverford College. Me too, and this may be the proudest I've ever been of having gone there. If the Diamondbacks win the NL East over the Giants by 1/2 game, look back to this game and thank Roy for his hand in it.